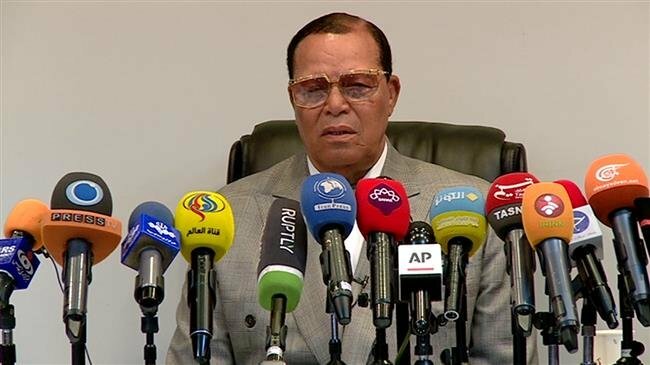 Farrakhan lashed out at the Trump administration for reimposing sanctions on Iran, saying the bans are “hurting the people of Iran,” not the Iranian government, as claimed by American officials. He also blasted Trump’s policies in the Middle East, saying the US is trying to create further division between Shias and Sunnis in the region. “But if you listen carefully to his speech, he was making … division between Sunni and Shia, and aiming those weapons subtly toward Iran, and then openly saying to all those nations they should reject their brother Iran,” he said.